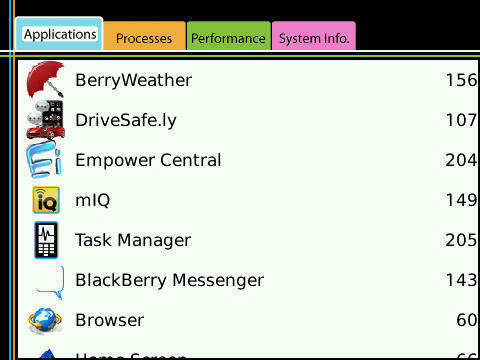 There is finally an application that allows you to view the running processes and applications on your BlackBerry. This app is more than just your average task manager program. To learn more details about how it works, please watch our video review below. Want the app? Download the free version here.